Keeping young business minds healthy, the Launch Lab introduces wellbeing and mental health service. The Launch Lab is City’s start-up incubation space that supports students and graduates who want to set up their own business. As any young entrepreneur will find out, the journey from student start-up to business is a rocky road. The relentless pressures of sales targets, fixed costs, product manufacturing and finding investment are often at their most difficult during the early stages of a business – so much so that 8 percent of start-ups move closer to failure when an entrepreneur burns out. Coupled with the emotional and physical strain that entrepreneurialism can entail, a recent study on pressure and wellbeing for entrepreneurs revealed that 79% of UK SME business-owners feel lonely running their business. Around 4,161 start-up businesses emerged from UK universities in 2017, asking the question to how can an industry so busily bursting with people feel alone? Early survey insights from Christina Richardson, co-founder of weare3Sixty.org and tutor on the accelerator programme at City, identifies that loneliness builds in the form of business owners feeling as if they are the only ones struggling. Full results set to be published. 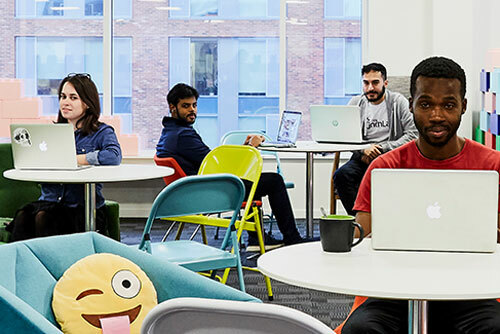 With 45 student businesses in the Launch Lab and an average entrepreneur age of 27, the wellbeing and mental health service will support City’s resident founders at the earliest and most vulnerable stage of their journeys. Each resident will have funded access to a registered psychologist and be able to take part in peer circles with fellow business owners to help discuss difficulties their start-ups may experience. 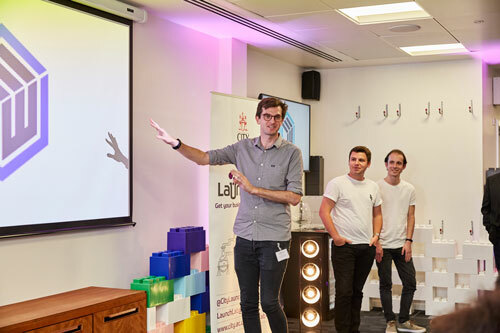 "My self-confidence and my business were entwined"
Tom Hewitson (MA Journalism 2010), CEO of Labworks, Europe’s largest voice game developer has called for young business owners to be mindful of their mental health. “Starting a business is exciting, at the beginning you only really concentrate on the positive side of things. You don’t ever realise the problems until you encounter them and that is when mental health issues can come about. “Being an owner can feel like such a lonely job, you alone are responsible and accountable for performance and often you have to keep a brave face in front of your team even if things are going badly. Tom says that young entrepreneurs must separate their emotions from their business. “I used to see myself as a reflection of Labworks and my self-confidence as a person became quite entwined with the business’ performance. When we were doing well I was happy, but inevitably there were bumps in the road and that started to affect my mood. Rebecca Sharpe, Start-up Incubator Manager, said: “There has never been more support for launching and scaling a business, but we often forget that running a business can be one of the most stressful things a person can do. “It is so important for incubation spaces to teach and help their young businesses with this, as when you first start out it is easy to feel invincible, but there are challenges not only to your business but to your health as a person.